Many experts have labeled traditional AM and FM radio stations as outdated throwbacks with no future. But an Ipsos survey shows something dramatically different. It shows that 84% of those asked prefer listening to AM/FM radio in the car over other options, such as streaming audio or CDs. 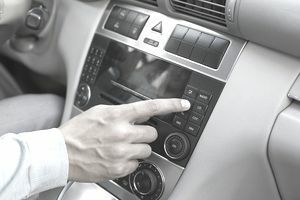 Nearly two-thirds say they listen to their AM/FM car radio daily. That definitely bucks the conventional wisdom that says radio is on the way out. There are many advantages radio has over other forms of technology for people on the go. Sure, you can listen to non-stop music on a CD or on an announcer-free satellite radio channel. But there's something missing. That's personality. Much of that personality comes from human radio personalities, who bring the music to life by turning the tunes into a show. Many of today's local announcers learned their craft by listening to the 5 radio legends who were masters of music and chatter. When you're at home, you may want to isolate yourself with music. But for those in the car, the announcer can be a virtual friend, sitting in the passenger seat helping entertain them as they sit in traffic or drive the same old route to and from work. Those voices bring value to the stations that still believe in having local announcers at the microphone. The most successful radio stations still believe in being a vibrant part of the local community. That gives listeners a component that is missing from CDs, satellite or streaming music. Not every radio station produces local content for a variety of reasons. But those that do can cash in with an identity that ties themselves to the area they cover, through everything from sponsorships to media contests. Most listeners want to feel plugged into their community. Sure, they can get the news from the TV or newspapers, but radio can provide unique information beyond the news headlines, such as details on upcoming events, festivals, and gatherings that won't appear anywhere else. The conventional wisdom is that listeners hate radio commercials, which is one reason they supposedly turn elsewhere for their music. But radio advertising can also be a positive force in getting more people to tune in. That's because radio listeners are also consumers looking for deals. Whether it's Taco Tuesday at the Mexican restaurant close to their work or a huge furniture sale happening this weekend, when people are looking to buy, they're looking for ways to save money. That's why they may welcome radio ads. Yes, there is a risk in running too many commercials in an hour's broadcast. But the reason advertising works is that people will hear the call to action, visit the store or restaurant and make a purchase. So not everyone changes the station when the music gives way to advertising. The radio business is undergoing a transformation due to technology. But that doesn't mean AM and FM stations can't be successful if they choose the right formula that appeals to their local audience. The Ipsos survey demonstrates the importance of the radio airwaves.